I have never used my laptop as much as I have in the last 6 months. It’s the essential tool of my trade and without it I am lost. If it goes wrong I panic, and if doesn’t do what I need it to I get cross. I don’t have a lot of patience with slow technology and so recently upgraded to a new all singing, all dancing TouchSmart Windows 8 laptop when I sold my old business was a real treat. We are a techy household, with tablets, computers and Raspberry Pi’s galore, so when I was asked if I’d like to try out a Samsung Solid State Drive I jumped at the chance. Having an IT background and a husband who still works in IT we were quite excited about this latest product review. So what is a Solid State Drive? Well, also known as a solid state disk or electronic disk, it is a data storage device like a standard hard disk drive that most computers and laptops are built with. However, an SSD uses electronic interfaces and has no moving mechanical components making it more robust, much quieter, much faster and with less latency that a standard hard disk drive. In basic terms, installing one of these will mean your computer reacts much quicker when you ask it to do something. Samsung have sent us their SSD 840 PRO Series 512GB worth £400. Boot the laptop and continue working as normal! The following video explains the process in more detail and shows you how I managed, as well as discussing my thoughts on some of the more trickier aspects. It wasn’t as straight forward as I initially expected it to be (you’ll notice I say how easy it was expected to be at the beginning of the film) due to complications with my current hardware. 1. Installing the cloning software – very straightforward and simple. 2. 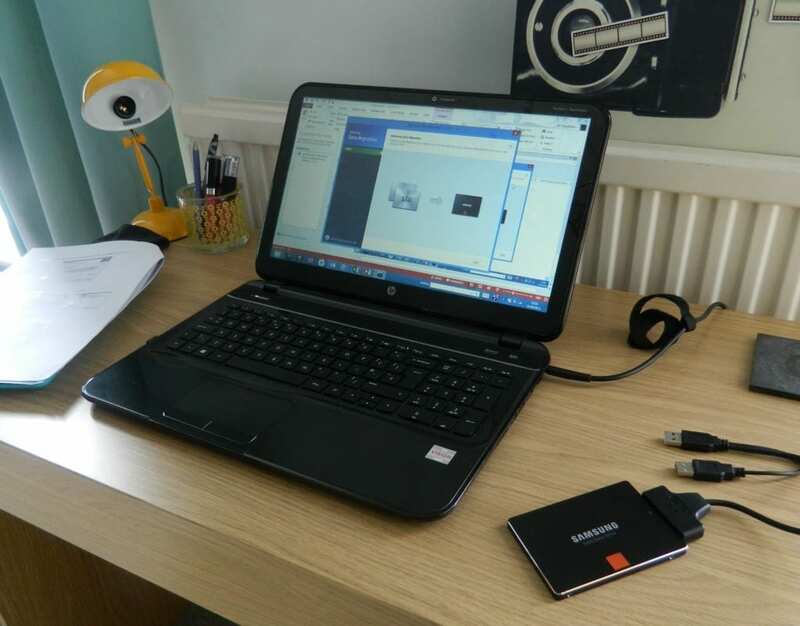 Cloning the hard disk – the software ran for around 45 mins copying the data across to the SSD. 3. 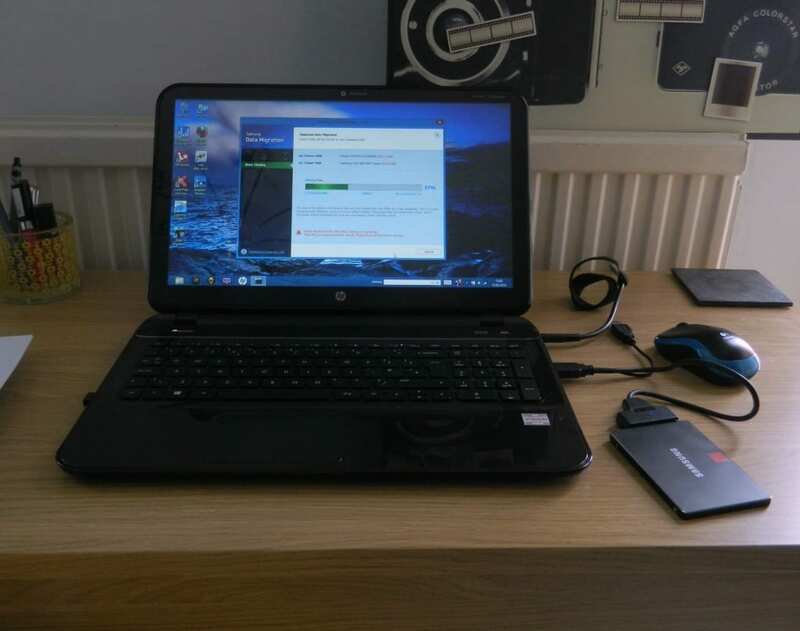 Swapping the hard disk drive – here are the scarier photos of us disassembling the laptop to gain access to the hard drive and swapping it for the SSD. 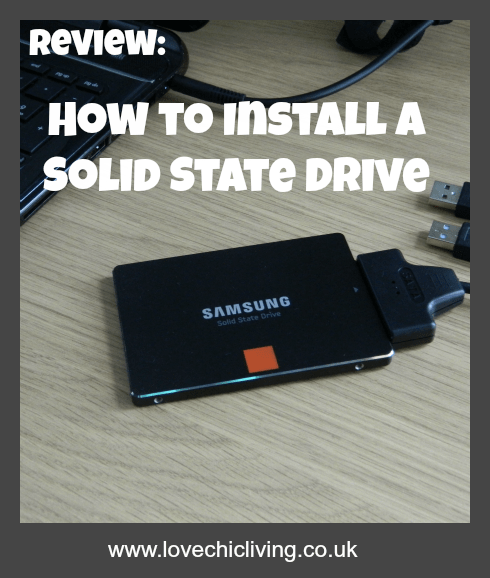 Disclosure: We were send the Samsung Solid State Drive for free so we could test out the installation process and review the product. The comments and opinions are honest and genuine. The idea of opening and exposing the internal machinations of my laptop would have me in a cold sweat!!! The idea of performing computer surgery scares me, but I love the idea of speeding this beast up. I suppose you could find or pay someone to install one? Great video! Though you did have issues as you had to go in from the top, you still make it seem so simple. Great job Jen! Thanks Amanda, glad it seemed simple enough! Great video. It makes the tutorial easier! Great article, the idea of opening a laptop scares me, but with your detailed guide accompanied with bullet points and pictures it gives me more confidence to open my laptop and work in it. Thanks to you I can now increase the speed of my laptop!